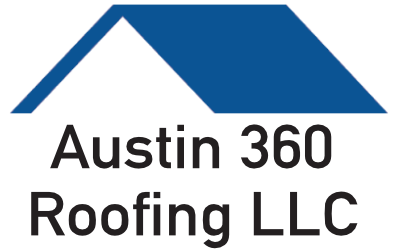 DURO-LAST® Roofing System Endorsed by Hilton Worldwide | 360 Roofing, LLC. Saginaw, Michigan – July 19, 2011 – Duro-Last Roofing®, Inc., a national manufacturer of thermoplastic commercial roofing systems, announced that the company has been endorsed by Hilton Worldwide International Inc.
Duro-Last’s custom-prefabricated, reinforced single-ply roofing system provides a quality-assured product manufactured in a controlled factory environment, a process that eliminates up to 85% of rooftop seaming. This amounts to savings in labor costs and improves the long-term performance of the roofing system. Duro-Last is proud to be a “charter partner” in the ENERGY STAR® Roof Products Program, sponsored by the U.S. Environmental Protection Agency. The highly-reflective white membrane delivers real energy cost savings for building owners and managers. All of this plus a 15-year full warranty that has no exclusions for ponding water and provides coverage against consequential damages that result from defects in the material and installation workmanship, make it an exceptional roofing choice for Hilton hotels. Steve Ruth, Vice President of Sales for Duro-Last, said, “We’re excited to receive this endorsement. Duro-Last has a long history of supplying high-quality roofing systems to this world-class hotel chain, and we look forward to many more years of partnership with Hilton”. The company owns, manages or franchises some of the best known and highly regarded hotel brands including Hilton®, Conrad® Hotels & Resorts, Denizen Hotels™, Doubletree®, Embassy Suites Hotels®, Hampton Inn®, Hampton Inn & Suites®, Hilton Garden Inn®, Hilton Grand Vacations™, Homewood Suites by Hilton®, Home2 Suites by Hilton™ and The Waldorf Astoria Collection™. Hilton is a name that is synonymous with first-class hospitality. Hilton Hotels Corporation has identified Duro-Last Roofing Inc. as a vendor on their Suppliers’ Connection site. Please visit www.hiltonfranchise.com for more information.